Our USDA Choice Tenderloin Tips pack premium flavor into a small package. 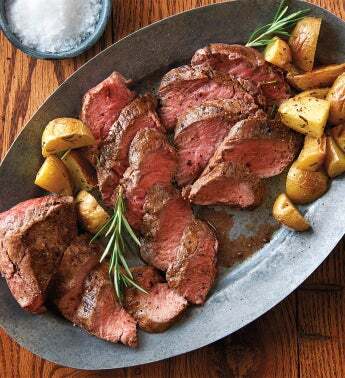 These succulent beef tips are expertly aged for 21-30 days for maximum flavor and tenderness and are hand-trimmed from the same tapered end of the tenderloin as our Filet Mignon. Packaged and sealed for easy portioning in 8 sets of 2 Tenderloin Tips for a total of 16 pieces.